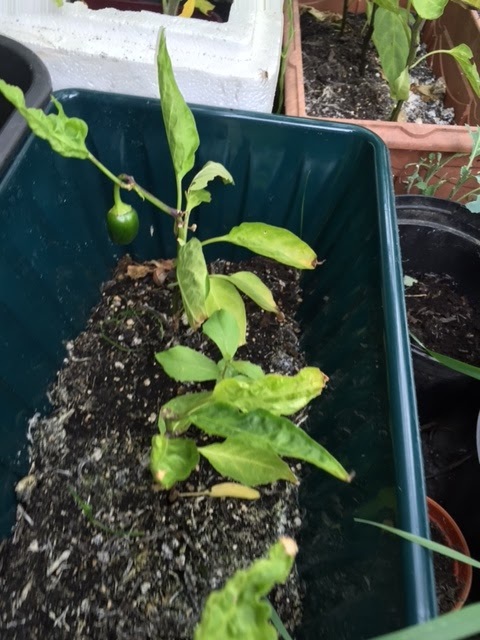 Returning to my plot after over a week away, I didn’t know what to expect. 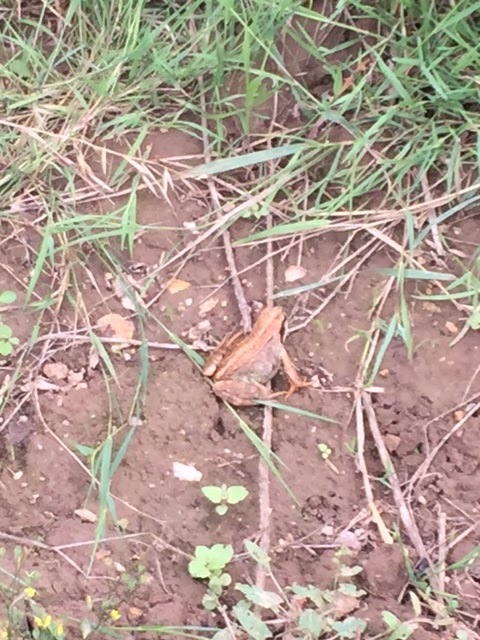 The weather was hot and dry by all accounts and with no-one watering I was worried some had died off. Thankfully the opposite was true. 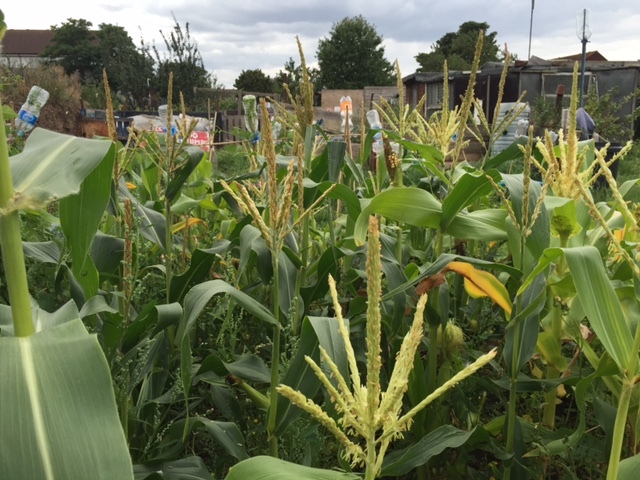 A lot had grown and most impressive was the sweetcorn. 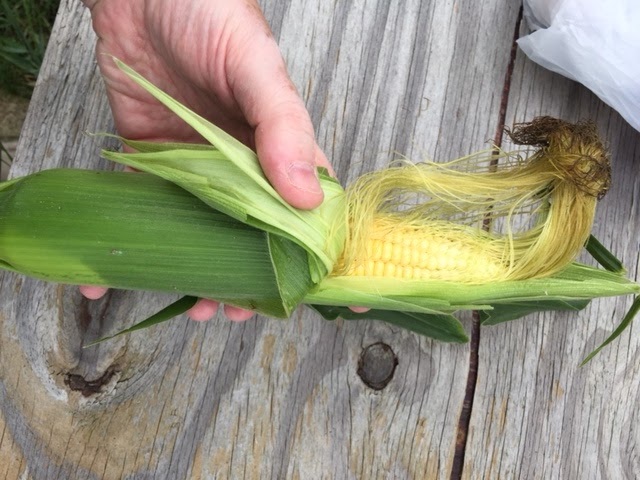 The hairs turning brown is generally a sign that a cob is ready, so I cautiously picked one off and opened it up and it was a thing of beauty. 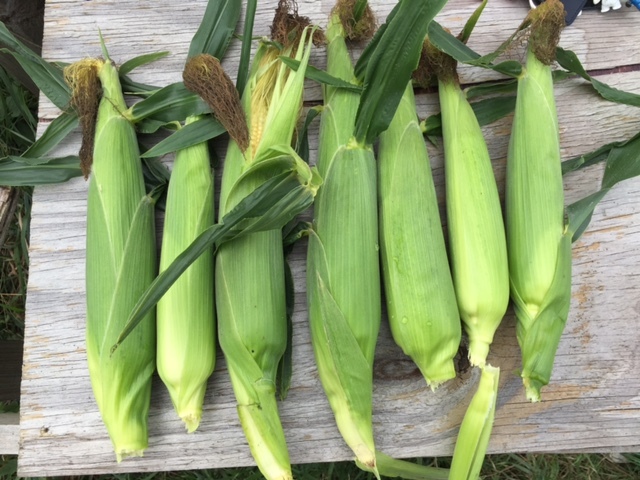 I quickly went through and picked another half dozen cobs with dark hairs, leaving the rest to continue to ripen. The greenhouse had not faired so well. 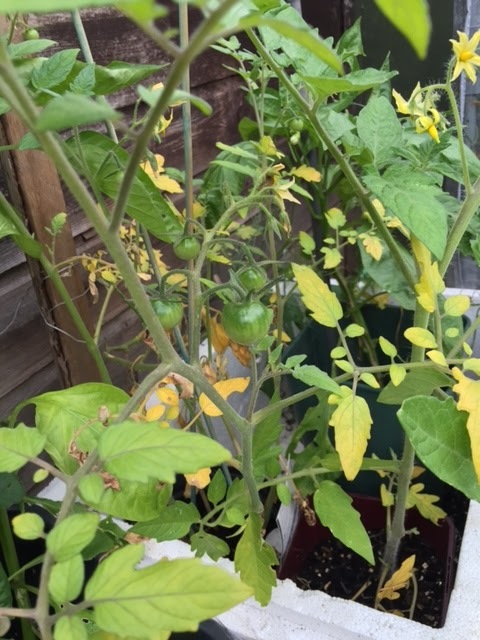 As it is fully enclosed, even the smallest rainfall wouldn’t have reached so the tomatoes and chillis, though fruiting are starting to look a little bedraggled. A good water and feed will hopefully get them back on track. 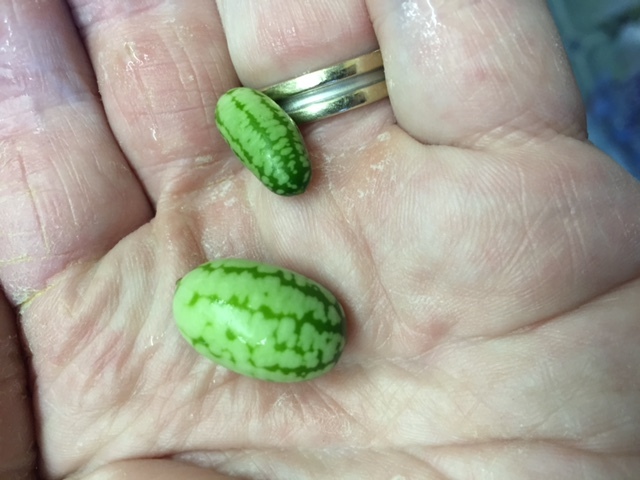 The Cucamelons, which I hadn’t expected to grow have actually done quite well and in fact one of the plants has started producing. 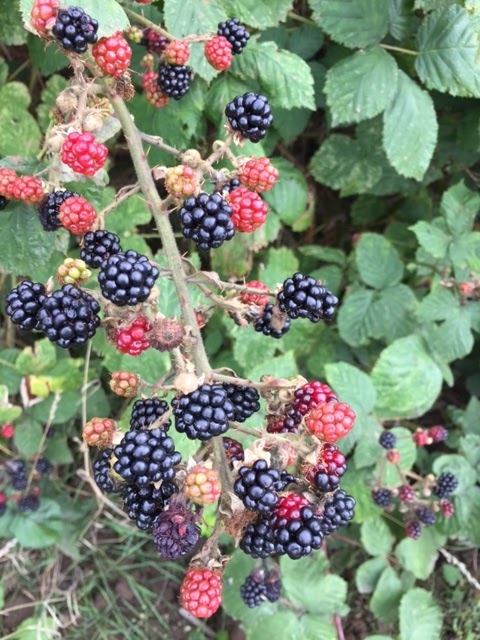 The Blackberry bushes have now fruited and most have ripened. 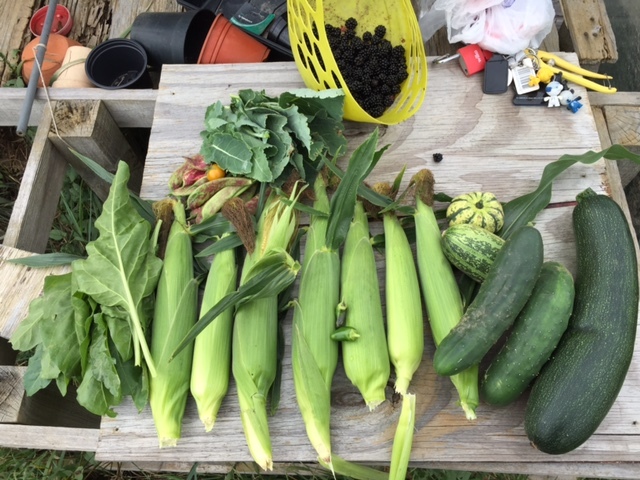 It looks like I’ll need a full day of picking to get through all these. I see lots of pies and Jam in my future! Great haul there, mate. I see a few massive courgettes in our future as well – take your eye off 'em for 10 minutes and they turn into marrows. I did find a good recipe for marrow and tomato chutney last year though. The stuff was rather superb after six months ageing in a cupboard as well. When I left for my hols, there were no fruits on my one courgette plant. 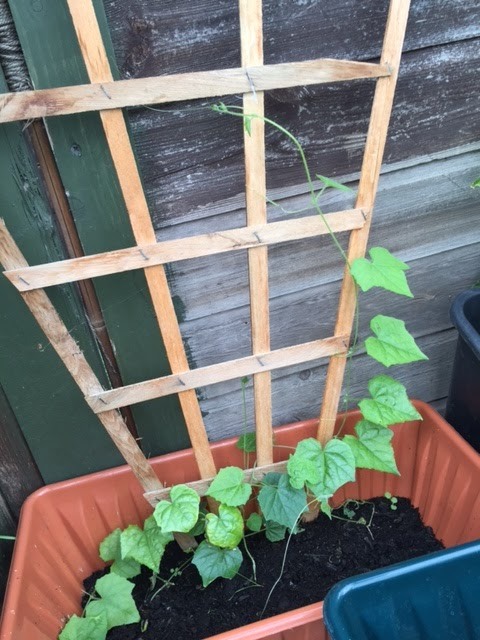 It took just 8 days for that one to grow from nothing!I'm still sitting on Chutney from my 2014 vintage so not planning to make any this year, but the pickled courgette went down very well last year so will probably make more of that.